Learn How To Speak Like A Pro! In this practical and inspiring workshop, you’ll learn the secrets to making the transition from a career in football to a career as a Professional Celebrity Speaker. You’ll discover what it takes to build a speaking business that will provide substantial income for you, and substantial value for your audiences. Building upon your amazing life experiences, you’ll learn how to design and deliver a keynote speech that is filled with dramatic and humorous stories that make people laugh, cry and be inspired to make positive changes in their life. Are you ready to take the next step in your life’s journey? Karl Mecklenburg, Certified Speaking Professional, is a six-time Pro Bowl linebacker who has played in three Super Bowls. Karl was named the AFC Player of the Year. He is a motivational speaker who inspires long-term positive change in teams and individuals. Since 2004, Karl has given over 300 paid presentations and is the only football celebrity speaker to have earned the Certified Speaking Professional designation from the National Speakers Association. His most popular speech is entitled: The Six Keys to Success. 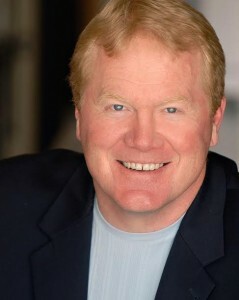 Doug Stevenson, Certified Speaking Professional, is a former professional actor. He has acted in everything from Snoopy to GREASE to Shakespeare, and in movies and TV. He has spoken to audiences from San Diego to Singapore, Milwaukee to Munich and Boston to Bogota. 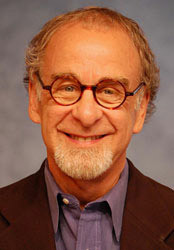 He is the creator of The Story Theater Method and The Dynamite Speech System. In addition to being a speaker, trainer and author, Doug is a highly sought-after speaking coach. His clients include Microsoft, Google, Bayer, Caterpillar, US Bank, UPS, many more corporations, and hundreds of professional speakers and executives. 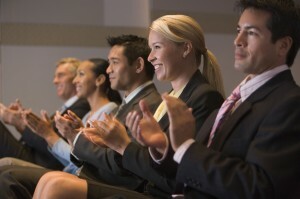 Take the next step in your career development by becoming a Celebrity Speaker. Learn the secrets of the speaking business and how you can develop a lucrative income stream. Learn how to speak like a pro, feel comfortable at the front of the room, and inspire people to achieve their dreams. 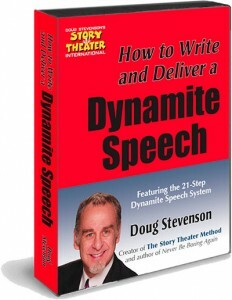 Registration includes a detailed workbook and Doug Stevenson’s Dynamite Speech System. Questions? Contact Deborah Merriman at: 1-719-310-8586 or Deborah@DougStevenson.com. To download a pdf flyer on the Pro Football Player Professional Speakers Academy, click here.